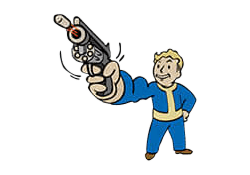 Steady Aim is a Perk in Fallout 4. It is associated with the Strength Stat. Rank 1: Stay on target! Hip-fire accuracy is improved when firing any gun.